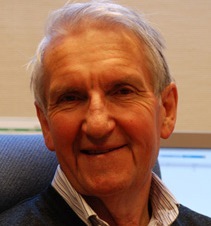 Asbjørn Eide is Professor Emeritus and Senior Fellow at the Norwegian Centre for Human Rights, University of Oslo (Oslo, Norway). As a researcher and specialist, he has been particularly concerned with indigenous and minority issues, and he has held important assignments in these fields both in Norway and in the United Nations system. He was Director of the Norwegian Center for Human Rights at the University of Oslo, and from 1971 to 1975, Secretary-General of the International Peace Research Association. He has been Torgny Segerstedt Professor at the University of Gothenburg, Sweden; Visiting Professor at the University of Lund; and Adjunct Professor at the College of Law, American University in Washington. He has served as an expert member of the United Nations Sub-Commission on the Promotion and Protection of Human Rights since 1981, as well as being a former Chairman. He was also the first Chairman of the United Nations Working Group on Indigenous Populations, the Chairman of the UN Working Group on Minorities, and a member and President of the Council of Europe’s Advisory Committee on the Framework Convention on National Minorities. He is also a Past-President of the FAO's Panel of Eminent Experts on Ethical Issues in Food and Agriculture, a post he held for eight years. He holds a Juris Doctorate from Lund University and is the author and editor of several books and numerous articles on human rights. The topics include minority rights, indigenous peoples' rights, children's rights, as well as economic and social rights including the right to food. He has also published a large number of articles and books, alone or together with Nordic and international colleagues in the fields of peace research and international human rights.